The Isma'ili Muslims, a major sect of Shi'i Islam, form a community that is intriguing in its deterritorialized social organization. Informed by the richness of Isma'ili history, theories of transnationalism and globalization, and firsthand ethnographic fieldwork in the Himalayan regions of Tajikistan and Pakistan as well as in Europe, Jonah Steinberg investigates Isma'ili Muslims and the development of their remarkable and expansive twenty-first-century global structures.Led by a charismatic European-based hereditary Imam, Prince Karim Aga Khan IV, global Isma'ili organizations make available an astonishing array of services--social, economic, political, and religious--to some three to five million subjects stretching from Afghanistan to England, from Pakistan to Tanzania. Steinberg argues that this intricate and highly integrated network enables a new kind of shared identity and citizenship, one that goes well beyond the sense of community maintained by other diasporic populations. Of note in this process is the rapid assimilation in the postcolonial period of once-isolated societies into the intensively centralized Isma'ili structure. 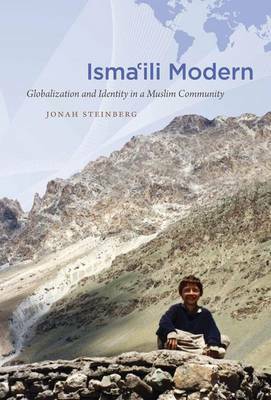 Also remarkable is the Isma'ilis' self-presentation, contrary to common characterizations of Islam in the mass media, as a Muslim society that is broadly sympathetic to capitalist systems, opposed to fundamentalism, and distinctly modern in orientation. Steinberg's unique journey into remote mountain regions highlights today's rapidly shifting meanings of citizenship, faith, and identity and reveals their global scale.